Even if the Nokia World 2013 just ended on other sites interesting and unannounced products appears, like Nokia Guru. Maybe there are many users who prefer a dedicated mp3 player and not the smartphone that has it already equipped. Even for those who like sports, there are dozens of ways to catch your smartphone while running, especially as you can also use monitoring applications. 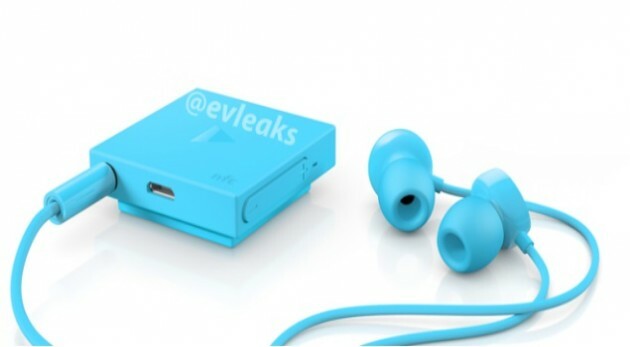 Nokia Guru comes more like an accessory that has NFC connectivity and a Bluetooth headset that connects to the phone and can play music on it, probably with a series of buttons to control the playlist. The above image is a rendering and it is likely that the product will probably be released by the end of the year, to be rather different. The information comes from Twitter and shows interest, given that the manufacturer did not look so far in making accessories for smartphones, still having some trouble adjusting with the new leadership. Currently, there was nothing said about this device at Nokia World 2013, a sign that is not on the priority list of the manufacturer, but we’ll probably find out more information soon. MicroUSB port suggests a battery that provides autonomy to Bluetooth signal processor and internal headphone amplifier.